Relay is an electromagnetic switch, which is controlled by small current, and used to switch ON and OFF relatively much larger current. 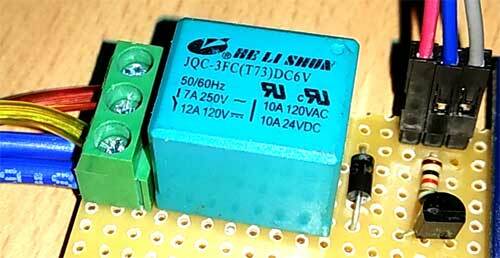 Means by applying small current we can switch ON the relay which allows much larger current to flow. 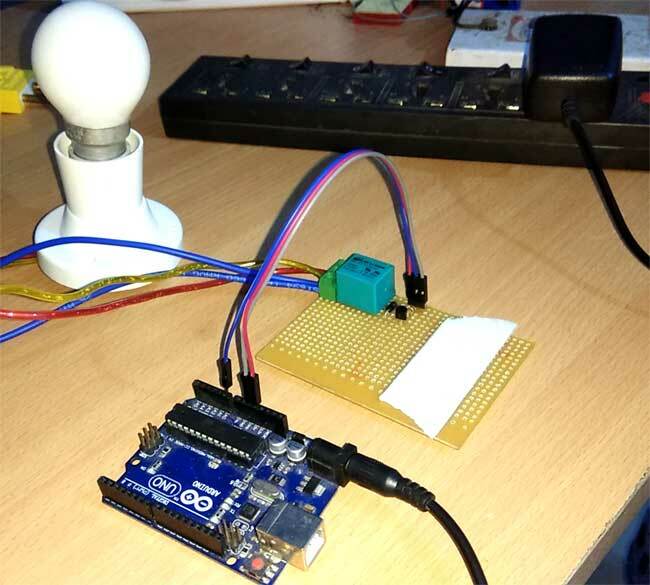 A relay is a good example of controlling the AC (alternate current) devices, using a much smaller DC current. Commonly used Relay is Single Pole Double Throw (SPDT) Relay. Here to turn on the Relay with Arduino we just need to make that Arduino Pin High (A0 in our case) where Relay module is connected. 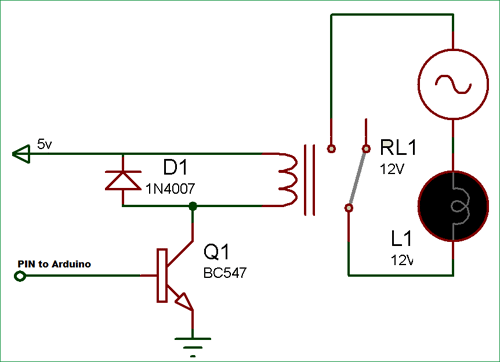 Below given is Relay Driver Circuit to build your own Relay module.